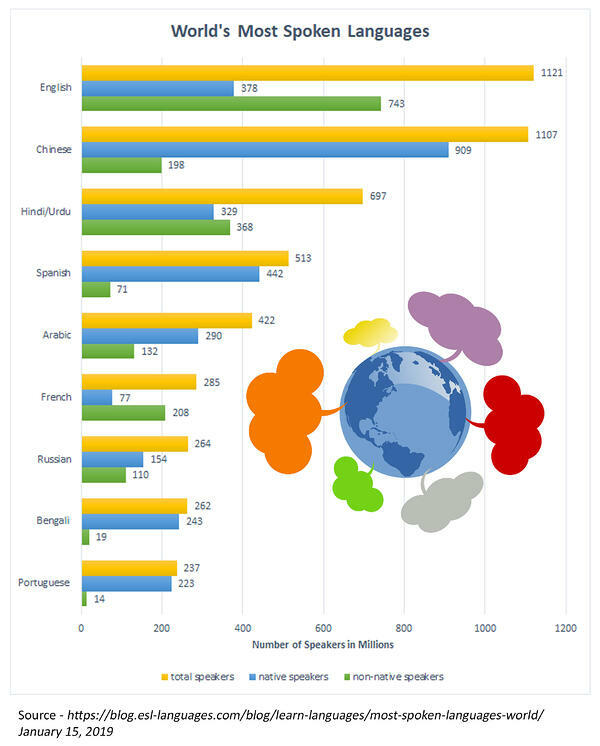 There are over 7000 languages identified in the world today (https://www.ethnologue.com/about). Yet almost half of the world population, 43% or 3.2 billion people, speak one of the top 10 spoken languages as their native tongue. When you look at the total number of both native and non-native speakers for the top languages, you get an even clearer picture of how the world communicates. Despite Chinese being the largest natively spoken language, by far, English comes out on top with the greatest number of speakers worldwide. This is because many countries focus on teaching English as a second language in school. Now let’s look at internet usage by language. What does this tell us? 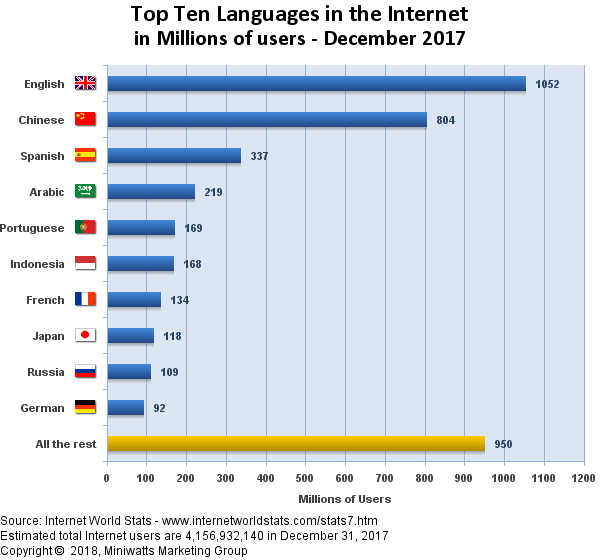 While it is true that at over 1 billion internet users in the world are English speakers (both native and non-native), there is a potential audience of 3.5 billion internet users out there that speak other languages. Additionally, only a fraction of those 1 billion English-speaking users are native speakers, and studies have shown that people prefer to visit websites that offer content in their native language (see below). What this all adds up to is that the world if full of potential leads, especially if you speak to them in the right language. 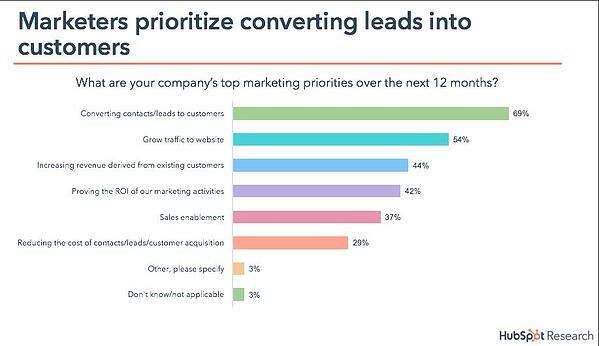 How can generating leads be a top concern for marketers when there are an estimated 4.1 billion consumers on the internet? Many companies are losing out on a huge audience because they are not providing content in native languages. Consider this - over 50 percent of Google’s search results are delivered to people outside of the United States. And Google provides search in more than 130 languages. This doesn’t mean a website needs to provide content in 130 languages but starting with one or two could help improve lead generation and customer appeal in key target markets. Translating your website into key target languages will not only increase your appeal to native speakers, but it will help your SEO on Google for those countries. Did you know that the United States has the second largest population of Spanish speakers in the world, second only to Mexico? 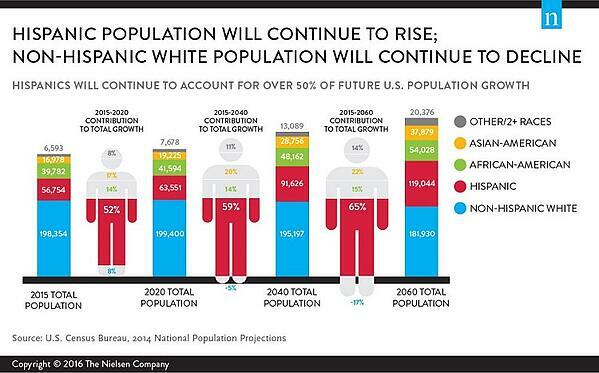 And that the Hispanic population growth in the US outpaces the growth of every other race, and that is expected to be a continuing trend? Considering the preference of consumers for companies to provide information in their native language, that means if a US company is not providing marketing content and advertisements in Spanish, they could be missing out on 41 million potential customers, and more in the future. Ads targeting Hispanics in Spanish significantly increase interest in purchasing products (by 1.4x). 58% of Spanish-dominant Hispanics, 48% of bilingual Hispanics and 42% of English dominant Hispanics think that brands that reach out to the segment in Spanish demonstrate they value the Hispanic community. Hispanic consumers don’t want just translated English advertisements, they want messaging that reflects their culture like Spanish-speaking actors (62%), family gatherings (58%) and humor (57%). Website translation, although an expense, can increase leads as well as customer satisfaction and loyalty. Read some tips on Website Translation for Multilingual Marketing, and contact Rapport International if you have questions about your multilingual website strategy.